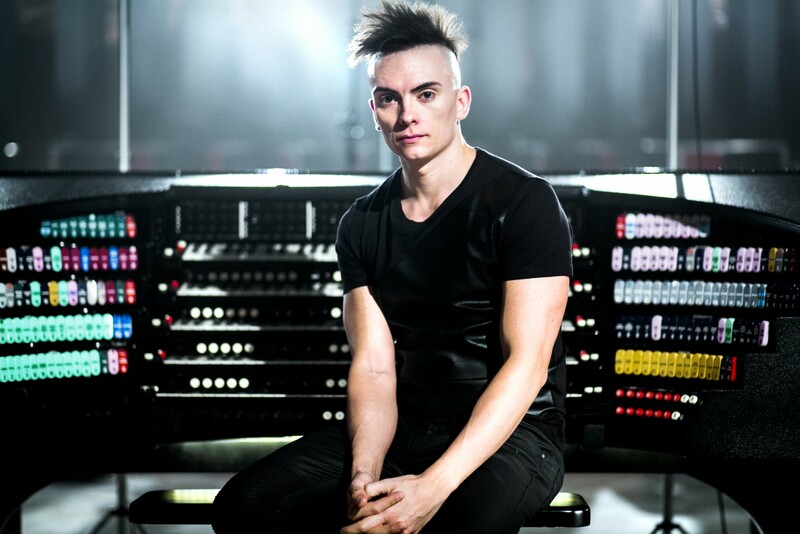 Cameron Carpenter, the first solo organist ever nominated for a Grammy award for a solo album, will visit the University of Central Arkansas as artist-in-residence April 2-3. Carpenter will bring his International Touring Organ — a monumental cross-genre digital organ built by Marshall & Ogletree to his own design — and will give a performance open to the public in Reynolds Performance Hall at 7:30 p.m. Tuesday, April 3. Carpenter, who revels in smashing stereotypes of organists and organ music, has a repertoire that ranges from the complete works of J.S. Bach to film scores, his original compositions and hundreds of transcriptions and arrangements. Considered a keyboard prodigy, Carpenter studied at the American Boychoir School and the North Carolina School of the Arts and earned two degrees from The Juilliard School. He has performed in venues such as The Royal Albert Hall, the Gewandhaus Leipzig, Melbourne Town Hall, Tchaikovsky Hall in Moscow, Davies Hall in San Francisco and many others. Carpenter has been featured on CNN The Next List, CBS Sunday Morning, BBC Radio 3, ARD, ZDF, NDR Kultur, The New York Times, The New Yorker and the Wall Street Journal. Other residency activities include a 3 p.m. organ demonstration/workshop in Reynolds Performance Hall on Monday, April 2, and a 1:40 p.m. public lecture on Tuesday, April 3 in room 140 of the Snow Fine Arts Building. Tickets range from $30-$40 for the public and $10 for children. UCA student tickets are free with valid student I.D. Call UCA Ticket Central at 501-450-3265 between 10 a.m. and 4 p.m., Monday through Friday, or toll free from anywhere in Arkansas at 1-866-810-0012 or visit ww.uca.edu/reynolds. For more information, contact Horton at 501-450-3682 or ahorton@uca.edu. The Artist in Residence program is funded by UCA’s arts fee and is administered by the College of Fine Arts and Communication. For more information about the program, call the Office of the Dean, College of Fine Arts and Communication, at 501-450-3293 or e-mail jdmiller@uca.edu.